Wind energy development projects aren’t just ideal ways to improve the environment; they also contain low cost development options. Once the initial investment has been made, a wind energy project will vastly reduce overhead through sustainable energy generation. Due to advancements in wind energy technology, there are also numerous ways to cut costs throughout the initial construction of a wind farm. Wind energy projects need to be surveyed before they can be developed — and after the survey process is completed, the area has to be monitored for potential issues. Unmanned Aerial Vehicles (UAVs) are an affordable way to cover wide areas of land at a low cost. 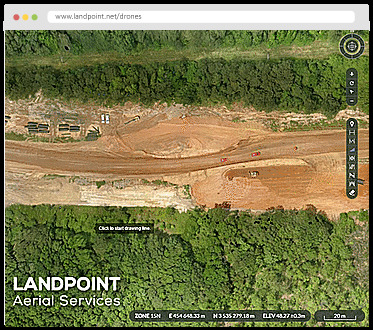 UAVs can be used to create development maps and to regularly scan the area for equipment that has to be repaired or maintained. When UAVs are used, they not only speed up the process of surveying, but they also reduce the chances of employee injury. UAVs can be sent into areas that manned vehicles cannot and can survey these areas without risking employee safety. For monitoring and maintenance, UAVs can be used to investigate issues without having to send a technician to the work site — saving time and money and potentially reducing risk. When it comes to wind energy, the more cost-effective the land is, the better. Wind energy projects can either be incorporated into already used land — areas in which upward development hasn’t occurred — or in rural, open, or unused properties. Often, the process of finding affordable land is the most critical component to determining how profitable the wind project will be. 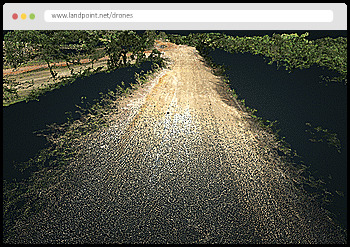 Early on in development, the surveying process — potentially aided by UAVs — can be utilized to identify tracts of land that would be particularly useful. Developers need to balance the attractiveness of their property lots with the remoteness of the location, as it will become important to determine how lengthy the transmission lines need to be. Wind farms may also be only allowed in certain areas as is regulated by the government, depending on where they are being built — so the required zoning, lobbying, and permits should also all be considered as part of the associated land costs. Wind development isn’t just about the equipment and land — it’s also about energy transmission. Once the energy has been created at the wind farm, it has to be transferred to where it can actually be utilized. This is why wind farms have to be very carefully planned. Farms that are out in rural areas will need to be carefully surveyed to ensure that the best, most efficient route is selected. Transmission lines need to go over large areas of terrain, and some areas may be more difficult for equipment and workers to traverse than others. Further, transmission lines need to avoid areas such as restricted property or government-owned property, which can cause further complications. A land surveyor can help a project manager identify the most efficient routing that does not intrude upon these areas. Communication can be a difficulty when it comes to wind farms, which are developed over a large expanse. Cloud-based, consolidated communications systems make it easier for employees to collaborate with each other. This technology can be additionally integrated into project management suites. In addition to employee communication systems, equipment communication systems are also important. Modern equipment and technology can be connected to the cloud as well, with a series of “smart” sensors. Through this, equipment can directly notify technicians of faults and other issues. When it comes to the development of wind energy, the most critical part of the process lies within the surveying and the planning. If planned correctly, developers will be able to reduce their transmission times, improve upon their land costs, and streamline their operations.